At PAPYRUS, we believe that many young suicides are preventable. So, how can our community help to prevent young suicide? The answer is – by talking about it. We need to break the silence surrounding suicide, and make it OK for young people to talk about their suicidal thoughts and feelings so that they can get the help and support that they need. It’s time to talk about suicide. You don’t have to be a mental health expert – you just need the right ingredients to have a conversation about suicide. If you think that somebody is feeling very low and you are worried that they might be having thoughts of suicide, it’s OK to ask them. Talking about suicide doesn’t make it more likely to happen. In fact, on HOPELINEUK, we hear the opposite. Talking about thoughts of suicide makes people feel safer, and more able to ask for help. If you are concerned about someone, it’s important that you ask them directly about suicide – this shows them that it is OK to talk about it. Even if they aren’t having thoughts of suicide right now, you have let them know that it’s OK to talk about it if they ever do. If you need support with how to do this, have a look at some of our conversation starters. It might sound obvious, but really listening to somebody can be quite tricky – especially if you are feeling worried about them. However, this might be the https://papyrus-uk.org/wp-content/uploads/2018/09/Conversation-Starters-1.pdf. Listenfirst time that they have told anybody about these thoughts – this is why it is really important that they know their feelings are valid. 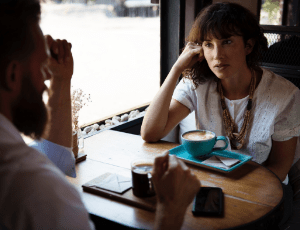 Empathic listening is key here – ask open and honest questions without judgement and show that you’re listening by reflecting on what they say and clarifying what they mean. Don’t jump in with solutions, allow them to express their problems first. It’s also really important not to minimize their feelings, try to imagine what this is like for them and why they feel like they want to die. You need to acknowledge their reasons for wanting to die before you can focus on why they want to live. It’s OK to be honest and tell them that you aren’t quite sure what to do next, but the important thing is to let them know that you have heard what they are saying and you are glad that they have shared it with you. On HOPELINEUK, we speak to many concerned family members or friends of people experiencing thoughts of suicide. These friends and family members can often list lots of reasons that their loved one has to stay alive, but these are their reasons, not the reasons of the person that they are supporting. The only way you will know their reasons for living is by asking them. It’s really important that they know that help is out there. Give them the number for HOPELINEUK and ask them to call for advice and support. Encourage them to speak to their GP about how they are feeling. They might want you to do this with them (they might not – take their lead). It’s so important that you empower them and help them to take control of these thoughts and feelings. You can walk alongside them in their journey to get help, but you can’t do this for them even though you might want to. Finally, look after you. It’s totally normal to feel overwhelmed when somebody tells you that they are having thoughts of suicide. If you want advice or support call HOPELINEUK, we can talk you though your next steps in supporting somebody who is suicidal, you’re not alone.